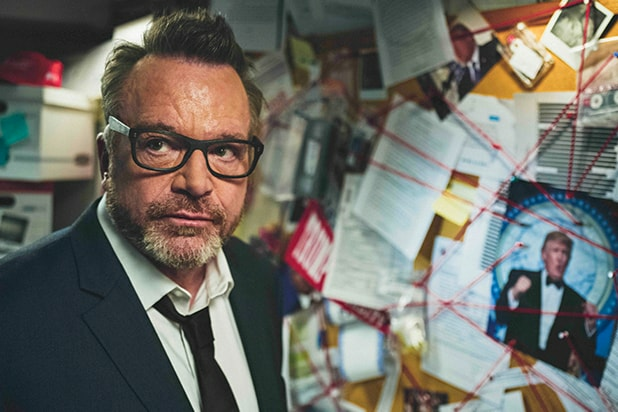 Viceland’s new series “The Hunt for the Trump Tapes with Tom Arnold” will premiere on Tuesday, Sept. 18, at 10:30 p.m., it was announced Thursday at the Television Critics Association’s summer 2018 press tour. 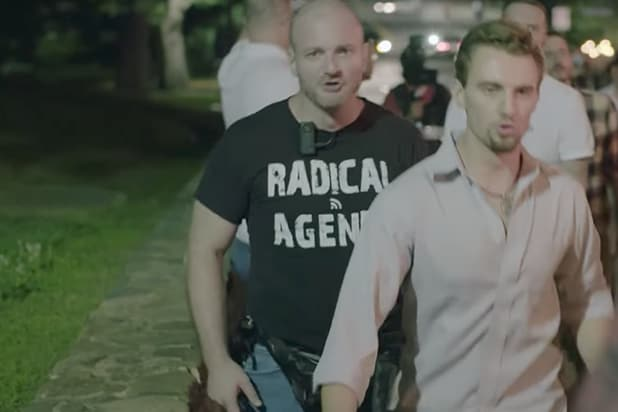 The eight-episode series will see Arnold doing some “citizen journalism” to find out the truth behind the rumored recordings of Donald Trump. It will begin with Arnold’s appearance on the “Howard Stern Show” and continues to follow the comedian as he meets with figures like Arnold Schwarzenegger, Penn Jillette, Judd Apatow and Rosie O’Donnell. The show also reveals the frenzy of attention surrounding Arnold’s surprise meeting with Trump lawyer Michael Cohen, which took place earlier this summer in New York. Arnold will also meet with veteran journalists like “The New Yorker” writer Jane Mayer, “Russian Roulette” authors David Corn and Michael Isikoff and former New York Daily News columnist A.J. Benza. Other notable figures include Trump’s former business associate Felix Sater and former White House Communications Director Anthony Scaramucci, as well as “The Apprentice” executive producer Mark Burnett, owner of the Miss Universe Pageant, Ari Emmanuel, American Media CEO David Pecker and TMZ’s Harvey Levin.